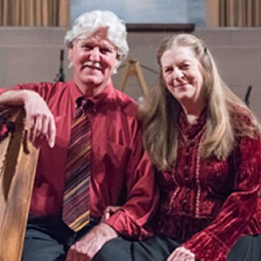 Magical Strings duo of Philip and Pam Boulding are returning to Resurrection! 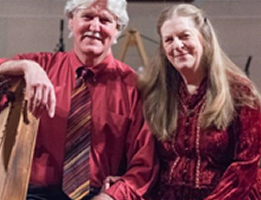 MAGICAL STRINGS centers around the Celtic harp and hammered dulcimer of Philip and Pam Boulding, at times augmented by violin, cello, pennywhistle, percussion and various instruments from around the world. Over the years their sound has drawn a large and loyal following captivated by a combination of traditional Celtic arrangements, original compositions and subtle world music influences. Their virtuosity and expressive style have been described as “warm, graceful and sonically gorgeous” by the Washington Post. Their music and stories have the effect of holding an audience and opening their hearts to a forgotten world well-veiled by the bustle and trappings of modern life. 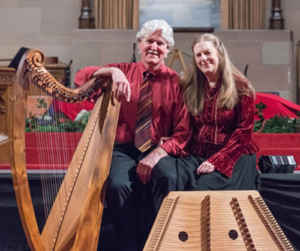 Come and enjoy this dynamic duo as they perform on Hammer Dulcimer, harp, Irish whistles and more. Reception to follow so you will have an opportunity to get to know these amazing musicians. For more information contact Ouida Archinal or visit the Magical Strings website!